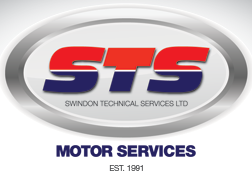 Looking for a garage to fix your Electric Power Steering in Swindon? Save money: Instantly compare Electric Power Steering Repairs prices in Swindon to find the best deal. Quick and easy: Simply enter the registration number of your car and your post code, compare prices, choose a local garage in Swindon and book your Electric Power Steering Repairs. "Dealt with my daughters car very quickly after it had broken down, we also use Dellers for servicing our other car"
"Turned up, they took my car straight in, 45 minutes later MOT was finished. Great price, great staff." "really through and helpful, booking for next job was done easily. thanks"
"Overall the experience was good at great price!!" "Didnt take long. Very warm welcome." "Excellent as always, I wouldn't go anywhere else." Swindon is a large town within the Borough of Swindon and the county of Wiltshire in South West England. It is situated near the Cotswolds and is surrounded by areas of outstanding natural beauty and ancient market towns and villages, close to the tourist destinations of Bath, Oxford and Stonehenge.